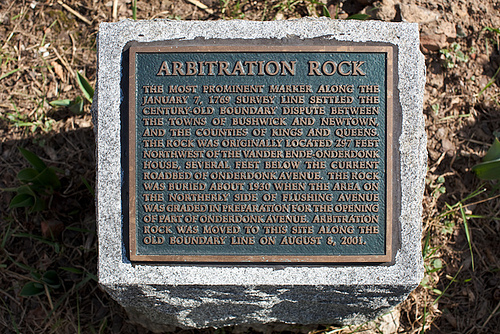 Contracts related to real estate transactions often have arbitration provisions included, requiring the parties to submit their disputes to an arbitrator rather than the court. Some standard forms, such as the CAR forms, have optional arbitration provisions that apply if accepted by all parties. Commercial Brokerages often require binding arbitration in the representation agreements. 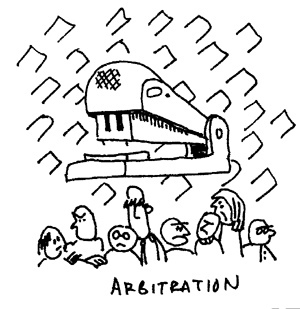 The argument for arbitration is that it is faster and cheaper. This may be true in low-dollar transactions, but otherwise, I believe it is a myth. Also, arbitrator decisions are not appealable, even if erroneous. I’ve written before about alternatives to arbitration, namely judicial reference and general reference, which allow hearings by a referee and oversight by the court. However, in a recent decision, a contract required binding arbitration under AAA rules (with a panel of 3 arbitrators) and the large brokerage was well on its way to bankrupting the plaintiff due to the cost of the proceeding. The court rescued the plaintiff, finding that if they could not afford the arbitration, the matter could be heard by the court. 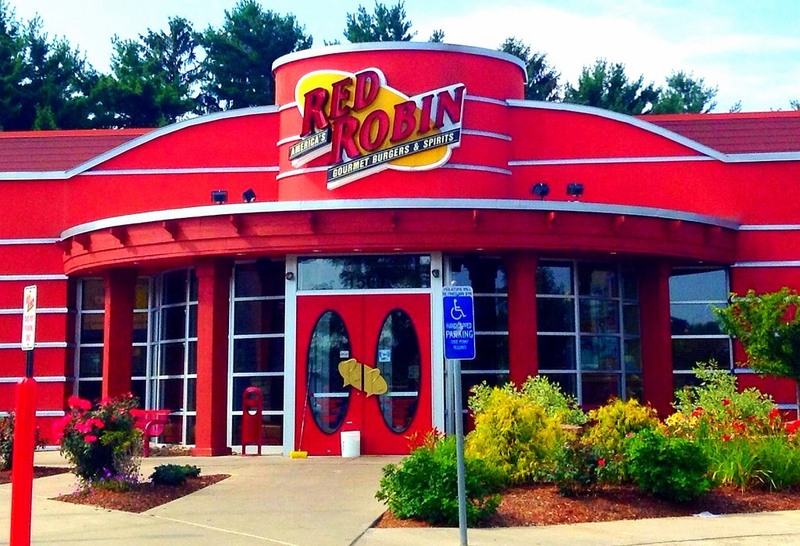 In Weiler v. Marcus & Millichap Real Estate Investment Services Inc., the plaintiffs hired Marcus & Millichap to advise them regarding a 1031 exchange of their Las Vegas Properties for a commercial property in Texas with a Red Robin restaurant, supposedly worth $4.1 million. They claim that M&M represented that this was a solid income producing property, and that the tenant was required to pay the property taxes. Shortly after the deal closed the tenant became delinquent in rent and property taxes. The plaintiffs lost money and eventually sold the property for $2.1 million less than they had paid. The plaintiffs filed suit, but their contract with M&M required binding arbitration through the American Arbitration Association (AAA). M&M had the court order the case to arbitration. The court retained jurisdiction for monitoring the arbitration. Judicial reference, unlike arbitration, works within the court system. A lawsuit is filed, and the judge appoints a referee to assist in the case, or decide it on their own. Parties can agree, in their contracts, that disputes are to be determined by a general judicial reference. This means the entire dispute is to be resolved by a referee. An advantage of judicial reference over other forms of dispute resolution (read ‘binding arbitration’) is that a referee’s decision is treated like a judge’s decision for purposes of appeal. On the other hand, an arbitrator’s decision cannot be appealed for errors of fact or law, as I have railed about several times in this blog. But as some parties found out in a 2011 decision, a judicial reference provision is not a guaranty that the dispute will be decided by a referee, and parties interested in reference should consult with a Sacramento business and real estate attorney as to what is possible. In this case the California Supreme Court concluded that a judge could decline to appoint a referee if there is a possibility of conflicting rulings on a common issue of law or fact. 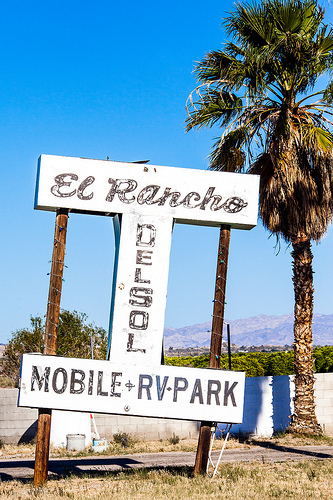 In Tarrant Bell Property, LLC v. The Superior Court, 120 residents of a mobile home park in Alameda County sued the park owners complaining that they had not maintained the common areas of the park and subjected residents to substandard living conditions. Of those residents, 100 residents’ leases had a provision that provided that disputes were to be resolved, first, by arbitration, or should the arbitration provision be found to be unenforceable, by general judicial reference. Key here is that the remaining 20 residents, 17% of the total, had leases that did not require arbitration and reference. The plaintiffs asked the judge to order arbitration or reference, the park owners opposed either. The trail court judge refused to order arbitration or reference. The opinion does not describe why the court denied arbitration, but focuses instead on denial of reference. Parties can provide in their contracts that any dispute be resolved by “general reference.” A general reference directs a referee to try all issues in the action. The hearing is conducted under the rules of evidence applicable to judicial proceedings. In a general reference, the referee prepares a statement of decision that stands as the decision of the court and is reviewable as if the court had rendered it. This results in a trial by a referee and not by a court or jury. “Judicial reference,” on the other hand, differs in that in that it involves sending a pending trial court action to a referee for hearing, determination and a report back to the court. The BIG DIFFERENCE between reference and arbitration is that a judgment obtained by reference can be appealed, but an arbitrator’s may not be appealed, regardless of how flawed it is. Sacramento real estate and business attorneys know that all the CAR forms have arbitration provisions, which are usually initialed by the parties without truly understanding them. I have railed before about how arbitrators are not held accountable for erroneous rulings. The general referee’s statement of decision “stands as the decision of the court,” and once the statement of decision is final and filed by the referee, judgment must be entered thereon “in the same manner as if the action had been tried by the court.” After judgment is entered, the losing party may make post-trial motions for a new trial, and/or to vacate the judgment. The judgment entered on the general referee’s statement of decision may be appealed like any other judgment. In a recent decision the court enforced a general reference provision that did not include an explicit waiver of a jury trial. In O’Donoghue v. Superior Court (Performing Arts LLC), a developer obtained a $20 million dollar construction loan for condos at 973 Market Street in San Francisco. Several individuals signed personal guarantees for the loan; the guaranty instrument had a general reference provision. Default occurred, a lawsuit filed, and the court enforced the reference, appointing a referee. The reference provision did not include a jury waiver; the guarantors appealed. California Construction Contracts and Arbitration – When the Issue is whether the contractor was unlicensed, Courts Can Throw Away the Arbitrator’s Decision. I have written several times about the finality of Arbitration decisions, and haw they cannot be overturned even if the Arbitrator did not follow the law, or ignored the facts. Also discussed here has been the plight of the unlicensed contractor, and how he is not entitled to be paid, and has the give the money back, no matter how much work he did or how much he spent on the project. In both cases, parties should be sure to understand their situation, and may want to consult with a Sacramento and Yolo real estate and construction attorney. Both issues came together recently in a case were the arbitrator did not require the unlicensed contractor to disgorge his compensation. The court said the Arbitration Award was invalid. In Mouris Ahdout v. Majid Hekmatjah et.al., A Family Limited Partnership and Braum were the sole members and owners of a LLC. They formed the LLC to develop and sell a condominium project on property the had owned. The LLC Operating Agreement specified that the LLC would enter an agreement with BIDI (Braum Investment & Development, Inc.), general contractor, to execute contracts and purchase orders to develop the project. Braum, member of the LLC, owned BIDI. Braum was also designated the manager of the LLC. 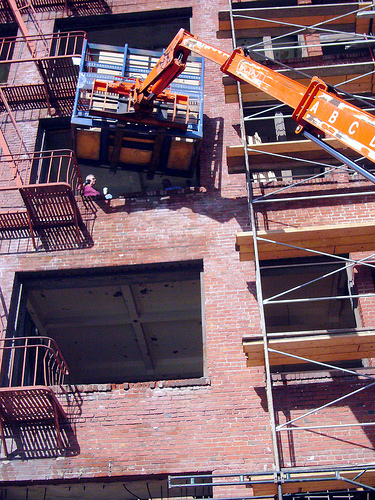 BIDI did not have a Class B Contractor’s License, required under California law to build a commercial building. The LLC operating agreement also said that BIDI was not to get any fees for acting as general contractor. However, the profit-sharing allocations under the Operating Agreement gave Braum an additional 25 percent allocation, so BIDI was actually getting paid for acting as general contractor. Most California residential real estate contracts (such as the C.A.R. form) have an arbitration provision providing for optional binding arbitration. If the parties all initial it, it becomes a requirement of contract. In arbitration the parties agree to have a supposedly unbiased third person decide the dispute. Arbitrator’s errors and mistakes cannot be reviewed by a court, so the parties are stuck with it. 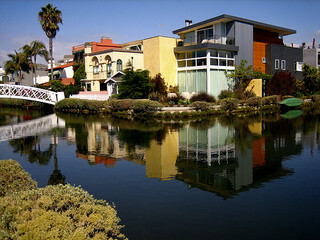 In a recent decision concerning beach front property in Venice, California, a judge refused to force the buyer to arbitrate their claim. 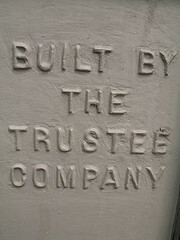 In Lindemann v. Hume, Lee was building a $3 million dollar residence and a trust was the buyer. The trust’s beneficiary, actor Nicholas Cage, moved into the house, and immediately had problems with water intrusion and flooding. Cage told his agent to sell the place. The got an offer, and gave the buyer a disclosure stating that there was a problem with the drainage that the builder was addressing. Cage’s people hired an engineer, who reported that there was no quick fix , and any owner would need to accept the risk associated with the drainage. The buyers backed out. A California court recently ruled that a Developer of a condominium project, who was sued for construction defects by the homeowner’s association, could not force the association into arbitration. Promenade at Playa Vista Homeowners Association v. Western Pacific Housing, Inc. Cal . Court of Appeal, Second District, No. B225086. This line of decisions may result in experienced Yolo and Sacramento Real Estate lawyers to advise developer clients to hold on to at least one unit in their projects. In this case the CC&R’s (Covenants Conditions and Restrictions) contained a mandatory arbitration provision between the developers and the association or unit owners be submitted to binding arbitration. In any common interest development, the developer prepares the original CC&Rs, and usually requires arbitration. As is usually the case, here the developer’s goal was to sell the units. It had sold them all, and no longer owned an interest in the development. Eventually the Homeowners Association filed this lawsuit for construction defects related to the roofs, stucco, and many other problems. The arbitration provision in the CC&Rs stated that it was governed by the Federal Arbitration Act, which covers contracts. The FAA was selected because it makes arbitration provisions irrevocable, and drastically limits the court’s ability to fix errors of the arbitrator. A condominium developer in Southern California got sued by the Association for construction defects. The developer filed a motion to compel arbitration under the provisions of the CC&Rs. The court said no! Recorded CC&Rs are made binding in disputes between owners, or owners and the association, because of their shared interest in the common interest development. CC&Rs are equitable servitudes which bind the owners and association. CC&Rs are not a contract between the developer and the owners association. There was no opportunity for “actual notice and meaningful reflection.” The association springs into existence on the sale of the first lot of the project. Maybe there is an argument that there is a meeting of the minds between the developer & the first buyer; but the rest of the buyer have no choice but to accept the CC&Rs. So rarely do we see courts refuse to enforce unbargained for arbitration provisions (such as here) that it is an event worth celebrating. Buyers bought a home in Southern California using the standard CAR purchase agreement, in which they initialed the requirement to arbitrate any disputes. Before they moved into the home, they learned it had extensive structural damage which was not disclosed. The buyers sued their broker, claiming that they knew about the damage. The brokers moved the lawsuit to arbitration, as the purchase Contract allowed them to do- big mistake for the broker. The Arbitrator awarded the Buyer damages based on the benefit of the bargain” measure, which is applicable to damages not arising from a contract. The Brokers sought to set aside the award, claiming he should have used the “out of pocket” measure of damages (Civil Code 3343). The Broker argued that the Arbitration provision requires the arbitrator to render an award in accordance with California substantive law; thus, this departs from the general rule of non-reviewability of arbitration awards. However, the court disagreed. Citing DirectTV, a provision requiring arbitrators to apply the law leaves open the possibility that they may apply it incorrectly.